Rashod Hill will start in Reiff’s place against Cardinals’ All-Pro defensive end Chandler Jones. Rookie Brian O’Neill will get his first start at right tackle. 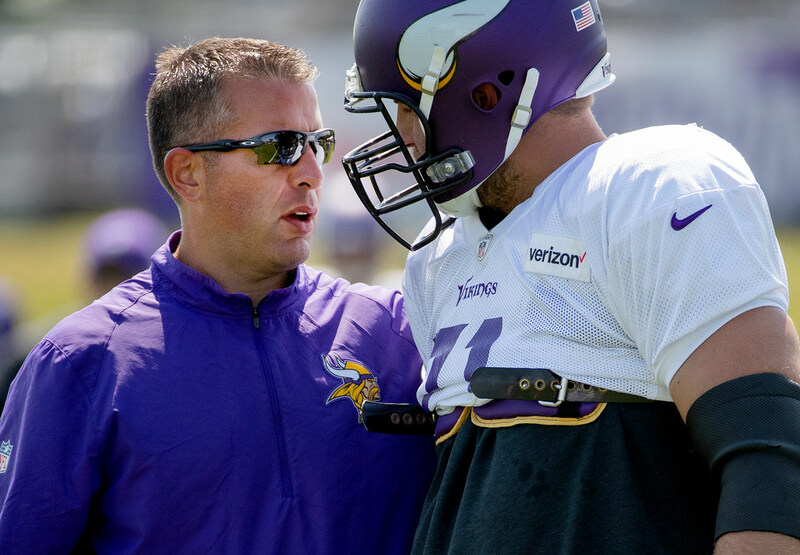 Zimmer added the information he’s been given leads him to believe Reiff’s foot injury isn’t a long-term issue. Reiff is one of four Vikings ruled out for Sunday, including defensive end Everson Griffen, defensive end Tashawn Bower (ankle) and safety Andrew Sendejo (groin). Safety George Iloka is expected to get his first start for the Vikings in place of Sendejo. Running back Dalvin Cook is listed questionable to play Sunday due to the troublesome hamstring injury that has bothered him since Sept. 16 in Green Bay. Cook was downgraded to a limited participant on Friday after he had practiced in full on Thursday. Punt returner Marcus Sherels will play for the first time since injuring his ribs Sept. 16 in Green Bay. He was a full participant in practice this week. The Cardinals’ injury report will be posted when available.